Home / Games / Brawl Stars: Team up and jump into mayhem! Surely you have known Supercell, the publisher which has produced many famous games around the world such as Clash of Clans, Hay Day or Clash Royale. In addition to the survival games, MOBA games on mobile are still popular with the number of players giant is constantly increasing day by day. And finally, Supercell did not stand out of the game when they recently launched a MOBA game quite similar to Clash Royale called Brawl Stars. The game supports the iOS platform before and it will support the Android platform and allow you to download it completely for free. Brawl Stars is a top-down shooter game that looks like games like League of Legends or Bomberman. Before starting a match, the player must choose any character that you own (in this game called Brawler). Each Brawler has different weapons and special skills, so you need to make sure you match your teammates to create the strongest team. Cooperate with your friends and win the fierce fight. Not to stop there, Brawl Stars is a real-time game that allows you to shoot guns with anyone around the world. Good players make the game more interesting when they create a lot of unique tactics. MOBA is a pretty hard-to-play PC game that comes from a PC because it has a lot of complexity that requires players to train and learn thoroughly, but this game has removed many details to create a funny MOBA game on mobile, easy to play and help you do not take much time to get acquainted. 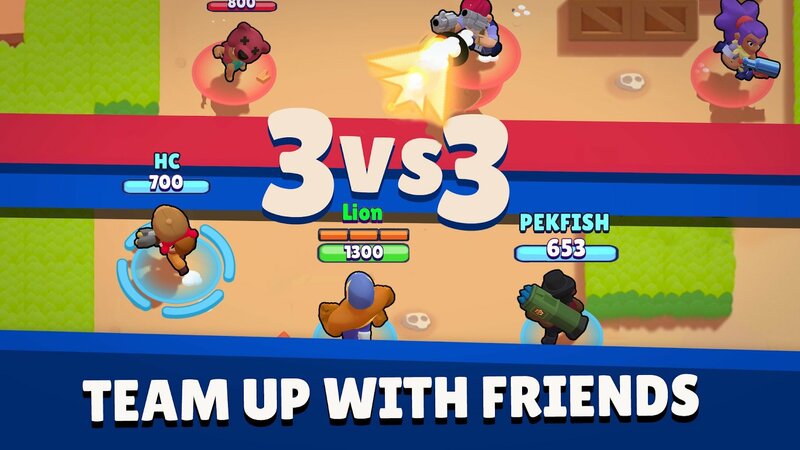 Unlike other MOBA games, which are limited to three main lanes, Brawl Stars’ maps are a large arena that allows players to fight continuously throughout the duration of the game. However, do not be too passionate to fight and forget the big goals of the team, destroy the towers and take the treasure, don’t give opponents a chance to win. After joining the fight, you will receive a lot of gold and experience points. Use that gold to unlock more brawlers that you like in the game’s store. Each Brawler has a different weapon, such as the first character is Shelly. She is a beautiful girl with purple hair, her weapon is a gun that is capable of firing a powerful cone bullet, dealing damage to many enemies at a time. Another character is Jessie, she does not shoot conical bullets but just a straight line. This brings a little bit more difficult, but she has another skill that creates automatic guns that fire nearby enemies (like Heimerdinger in League of Legends). 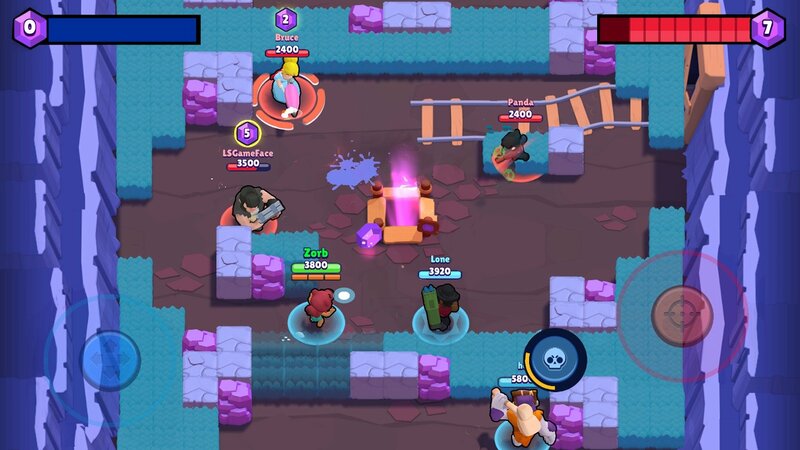 In addition, there are many other brawlers to explore, such as Bull, Brock, Crow, Poco, Nita, etc. There is no weak character if you are able to exploit their strength. You can learn tips from other great players in Brawl Stars community around the world. Bounty: The star gathering mode, which teams collect more when the time ends will be the winning team. Smash & Grab: Similar to Bounty, in this mode, you have to collect 10 Crystals on the map, who finish first is the winner. Showdown: Survival mode, where 10 players fall into a single map, whoever is the last survivor is the winner. Also, you can play with your friends in 3v3 matches. The game honors the best players, win and conquer the game’s rankings. Brawl Stars are similar in style to previous Supercell games. Although this is a violent action game, the graphics of the game are developed in a very bright and gentle animated style. The characters are cute, funny, though they are warriors with tremendous power. In my opinion, the graphics of this game are quite good, suitable for those who like lightweight games. As a result, the game easily runs on weak configuration devices, enabling many players to experience it. Now you can download Brawl Stars and experience this great game. As a MOBA game, each match lasts only 2 to 3 minutes, so I can play anywhere, anytime, even if I have only five minutes of free time. 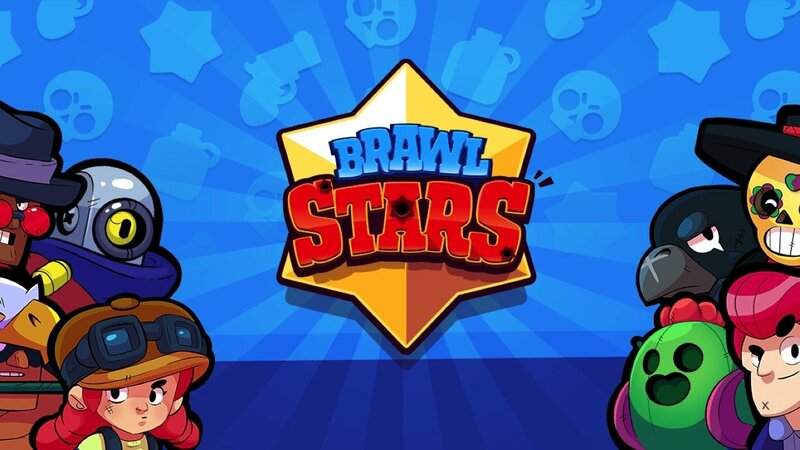 Brawl Stars MOD APK is ready to download! 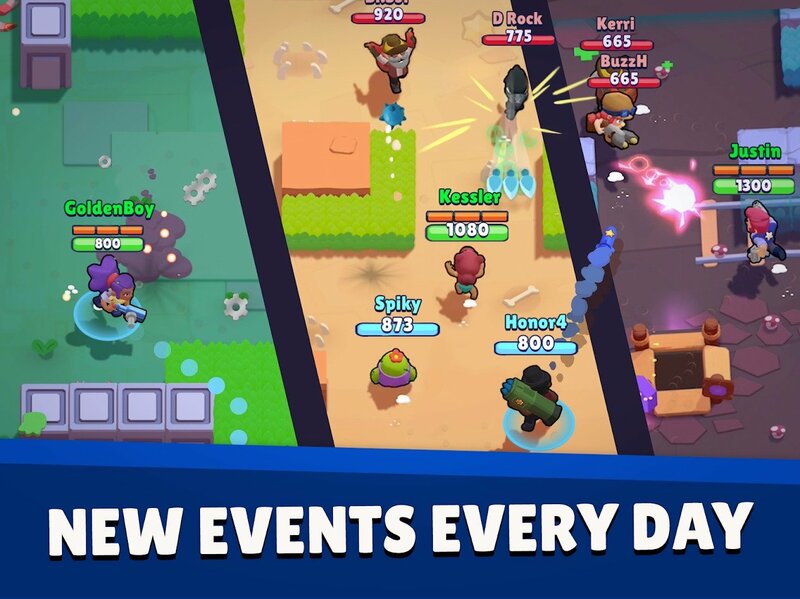 Depending on your needs, you can download Brawl Stars MOD APK or Brawl Stars Original APK. Or install from Google Play / App Store if you want.